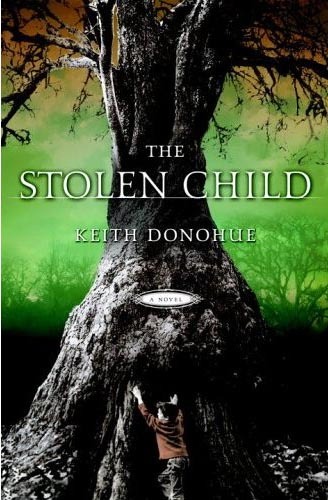 So there is apparently an old Irish legend about changelings who abduct small children and replace them with their own kind. This awful book is based on that legend. It tries to be interesting by telling the story of both the changeling now living with people and the young boy now living with changelings. My problem with this book is there is no suspense, no mystery, no antagonist, no excitement–nothing to keep your interest. Just a boring narrative (two, actually, for double the bore) with piles and piles of minutiae. Adrienne has moved away, but her legacy remains. 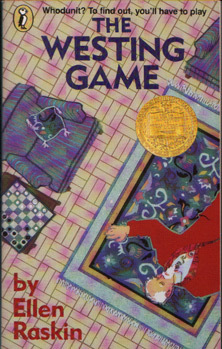 After finishing the last book, and discovering that all my other books are packed, I went rummaging desperately through the piles of stuff that Dean and Adie had left behind, and I found The Westing Game. A Newberry award winner! So I read it, and, duh, I liked it. It is a fun little puzzle/mystery book. It’s kinda silly, afterall it is a kids book, but still worth the read. By the time I read this book, I was already a big Discworld fan. 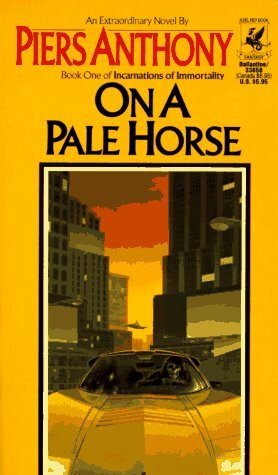 The character Death from that series, and the novel Mort in particular, are parodies of On a Pale Horse. So from the start I had a special enjoyment of this book. It’s about a down-on-his-luck guy who takes over the office of Death, and then gets involved in some cosmic struggle of good versus evil. The book started off really well, with cleverness and intrigue and an engaging story. As it went along it got a little weak, but it was still a pretty good book overall. This was the first in an eight book series called Incarnations of Immortality. Will I read more of the volumes? Maybe.